Hello my faithful and loyal readers. I know that I’ve been a little bit behind this week. I am going through a lot at school right now but hopefully in the next week or so it will slow down a little so that I can concentrate on extracurriculars a little more. This is just shinetastic and sparkle city baby! My pictures can’t even begin to do it justice because when I walked out into the sunlight I was transfixed! 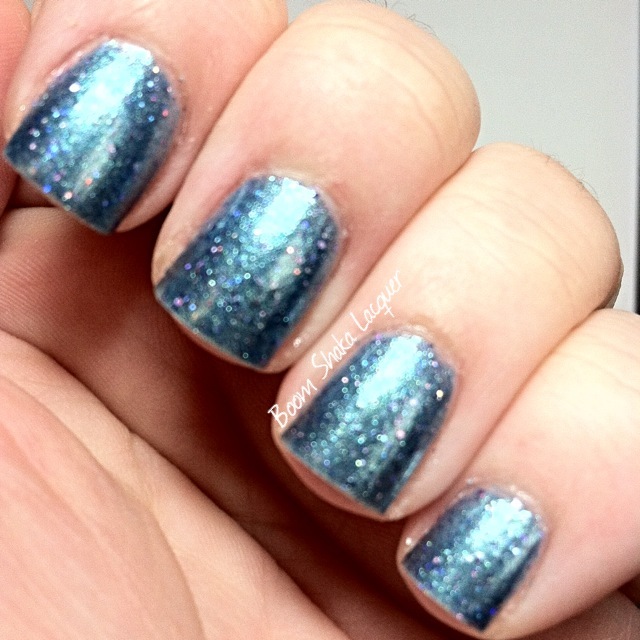 Santa Rita is a beautiful aqua metallic polish filled with tiny metallic and holographic purple glitters. They just sparkle and shine in the sunlight! Santa Rita is a variety of prickly pear cactus which has a sort of seafoam/aqua green/blue body flushed with dark pink/purple. It’s a beautiful plant and this polish does a good job of representing it! The formula on this is exactly what I’ve come to expect from Alchemy Lacquers…luscious! While it is a sheer polish it is easily buildable and the pictures above show three thin coats. They went on easily with no streaking or balding or any other issues whatsoever! Oh and what’s that, you’ve noticed my nubs have you…yeah I had an unfortunate break and I cannot stand for my nails to be uneven lengths on the two hands so I nubbinized! 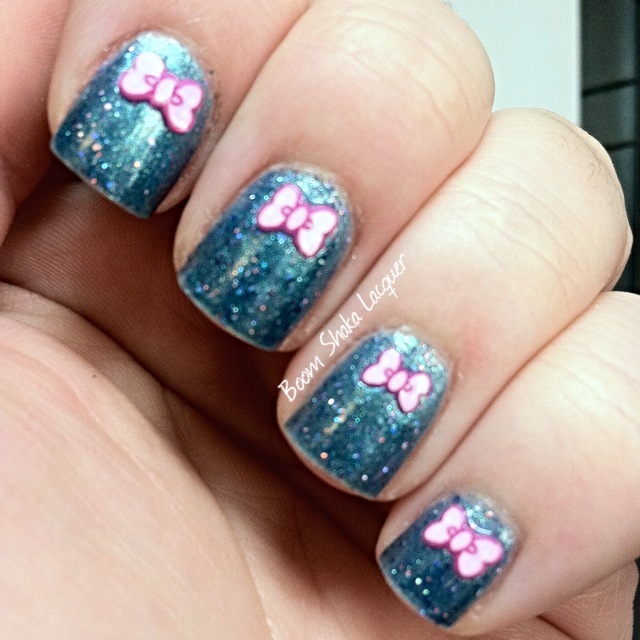 Last but not least, I couldn’t let it go with just a plain mani since I am actually wearing this one right now so I added these adorable little polymer clay bows! Aren’t they so stinking cute? I just used tweezers and dipped them in a tiny bit of topcoat and applied to the nail and pressed them until they were set and then applied topcoat all over to seal them in! Of course you can stalk Alchemy Lacquers for updates on restocks and sneak peeks and such. You can find them on Instagram, Facebook, their Website. You can purchase your OWN Alchemy Lacquers polishes in her Etsy Shoppe! Her shoppe is currently closed right now while she prepares the upcoming Spring release that is going to be a beautiful line of shimmer glitter crelly polishes which I will be reviewing…just WAIT until you see them they are LOVELY! Santa Rita will be released at the same time as the Spring Ahead collection. Keep your eye out as they are set to launch in the early part of this month! This entry was posted on April 1, 2014, in Alchemy Lacquers, Indie Polish, Light It Up Blue for Autism Awareness.